Reflections on a Fantastic Seminar Year! May 23, 2013 May 23, 2013 1 Comment on Reflections on a Fantastic Seminar Year! In Seminar Year 2012-13 we at SeneGence had many balls to balance in the air. In past years, we were able to concentrate on certain segments of our business; be it new products, completion of marketing programs, and of course international expansion. Last year though was a year of expansion and growth across the board caused by both the SeneGence Sales Force and Corporate Support. Here is a recap of our collaborative progress of this past Seminar Year. International – SeneGence products can now be found on every continent in the World, except Antarctica with increased sales in excess of over 300% and growing. New Products – over 40! new products were launched last year including 14 new shades of LipSense, and an improvement of formulation and color selection of the ShadowSense line. Social Media: we increased our visibility and results through our presence, in blogs, on Face Book, on Twitter, and on You tube. Second TV Commercial: we produced and aired our second national SeneGence TV spot and have so far in 2013 aired it in a dozen TV markets across the US, literally hundreds of times. It is of course also viewable for your use on YouTube and other social networks with over 1,500 hits in the first month. Martha Stewart: SeneGence products were featured at length on a major broadcast network television show; the Martha Stewart Show. Oscars: We received featured status at the Academy Awards in Hollywood, presenting a booth at the gifting suite to the stars and Oscar contenders. Household and Personal Products Industry. Back Office Reports Suite: we launched a suite of reports in your back office, called the Downline Management Tool. These Reports are chocked full of very useful information for evaluating where you are, where you have been and, perhaps most importantly, for guiding you in directions to benefit your consistency and growth. SeneSites – phase two (CRM): We have already added further functionality, after launch, to the new SeneSites. But we have more planned for the 2013-2014 Seminar year. SeneGence awarded $175,112.00 in Free Earnings in the form of SeneBucks to Distributors throughout last Seminar Year. 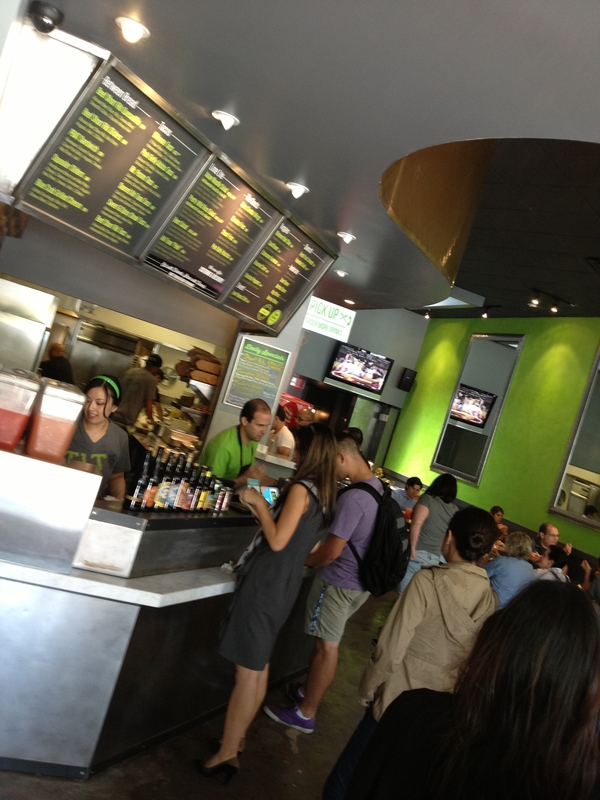 72% of those receiving commission checks used the 100% SeneCash option to purchase additional products or save income. 10% of Distributors used CDO (Customer Direct Order) which means there’s a 90% Improvement opportunity here to Increases Sales! 84% of those used the 100% SeneCash option to purchase additional products or save income. helps Distributors build their businesses quickly and earn additional income and products to sell within their first 90 days of joining. 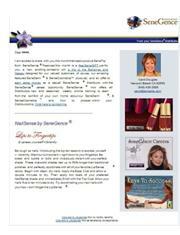 SeneGence awarded $148,000.00 worth of Fast Start Products to Distributors last Seminar year. 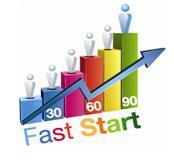 15% 0f New Active Distributors became Fast Start Achievers, leaving a whopping 85% for improvement! Potential Sales Income: $8,000.00 versus $950 for those who do not. Potential Commission Income (10% first line estimate): $7,220.00 versus $654 for those who do not. On Line Potential Sales Income: $2,625.00 versus $712.00 for those who do not. Potential Commission Income (10% first line estimate): $2,957.00 versus $121.00 for those who do not. SeneService & SeneSential Combined – Those Distributors who participate in both the SeneService Customer Support and SeneSential Training Distributor Programs over the course of the Seminar Year could likely earn an estimated minimum of $20,000.00 annually merely from participation in both programs. The more mature participant annual income becomes potentially substantially increased year after year and earns an average of 350% more than those who do not participate in either program. SeneGence rewards consistent performance. 27 Distributors were awarded $23,166.00 in free products or $858.00 each to those Distributors who, each month of the previous (and current) Seminar year placed at least a minimum of 750 PV. That number of on-target Significant SeneSellers has now grown to well over 100.
plus Customer and Hostess winners who received gifts totaling $11,246.00. Anyone can win! We look forward to supporting you in another fun filled year of growth and prosperity within your SeneGence Businesses. Remember the key….. Choose to live life in love and abundance…and then work for it. Our hearts, love, and prayers are sent to the families and friends who have lost so much in the tragic Oklahoma tornadoes. Our efforts will be spent contributing to this beloved region of the United States, where many of our Independent Distributors are growing and prospering in their businesses. 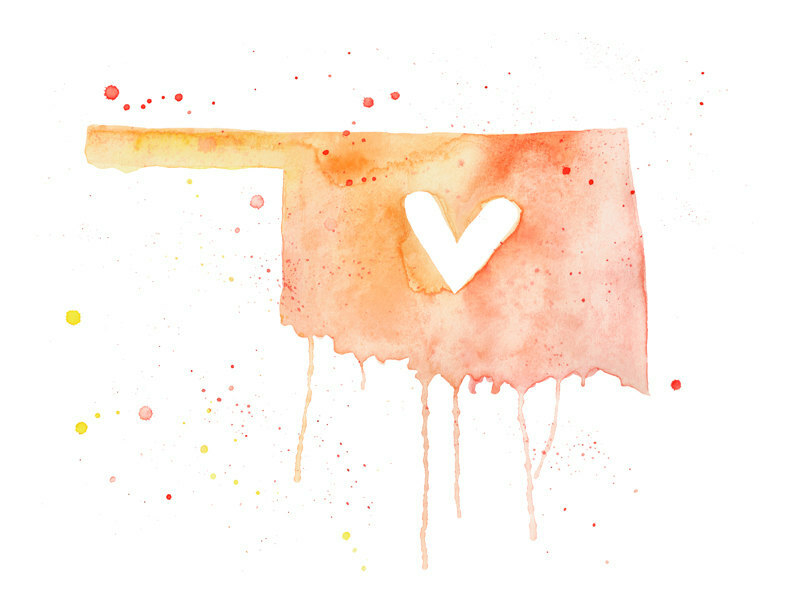 Being an Oklahoma girl myself, I know how strong, loving, and resilient our folks are. The SeneGence family of Distributors and staff is committed to be a part of the healing process and will provide support in many ways in days to come. Work and Play in L.A.
May 14, 2013 Leave a Comment on Work and Play in L.A.
Hello Lovelies! Last week, Ben and I had a packed schedule full of meetings in Los Angeles, so we decided that instead of fighting the traffic to attend all of them separately, we would stay in L.A. for a few days. 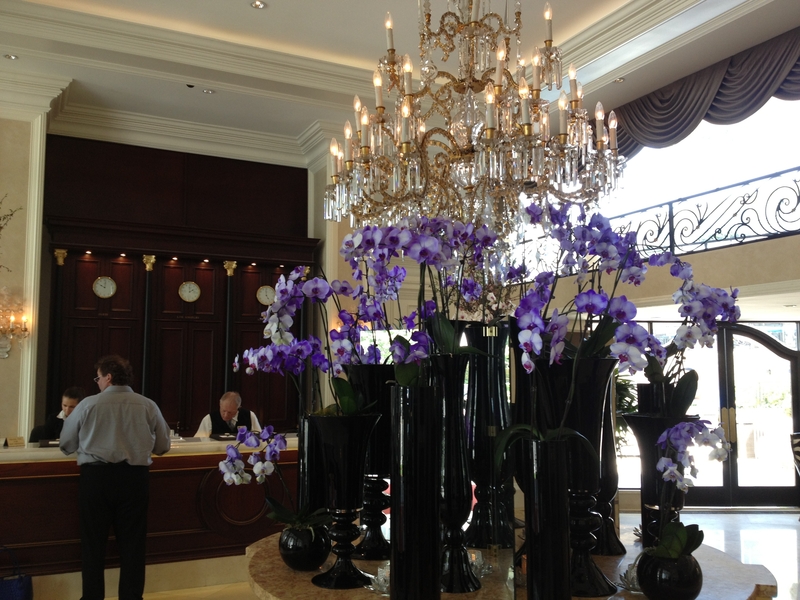 Our hotel was beautiful, and the lobby was decorated with dramatic vases filled with my favorite flowers…orchids! While at one of the many meetings I attended, I sponsored a New Distributor! She actually came to me and started asking questions about our Career Opportunity and products. It just goes to show you, you should not prejudge anyone when it comes to sharing the SeneGence opportunity. Leave it up to them to decide whether or not they would like to join you in this wonderful business. When they hear about our unique compensation plan and generous Distributor discount, chances are they’ll want to join. Keep an open mind and heart, and share this path to success with everyone you come across. 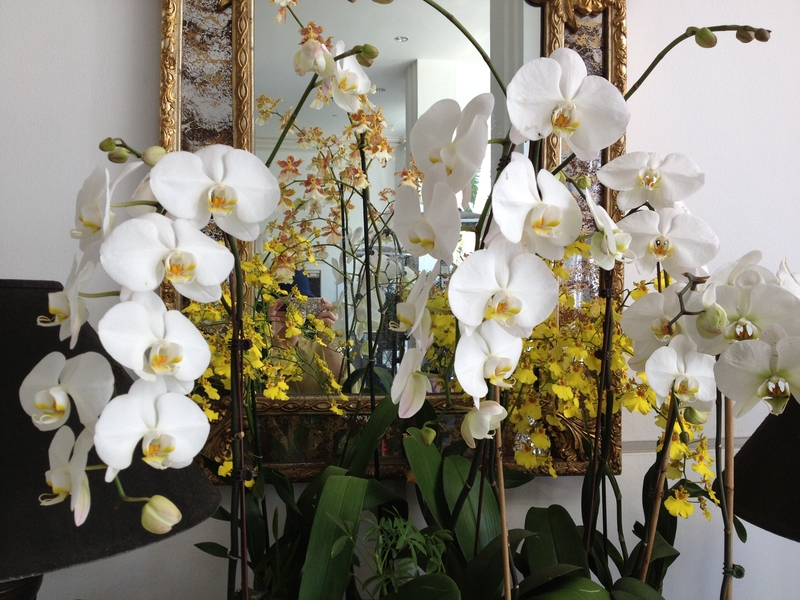 And remember, continue to live life in love and abundance…then work for it!